This disc, which we released to coincide with Opera Rara’s recording and concert performance of Mercadante’s neglected opera Emma dAntiochia, is a fitting tribute to this over neglected composer. Mercadante – Digital Downloads – Special Offer. 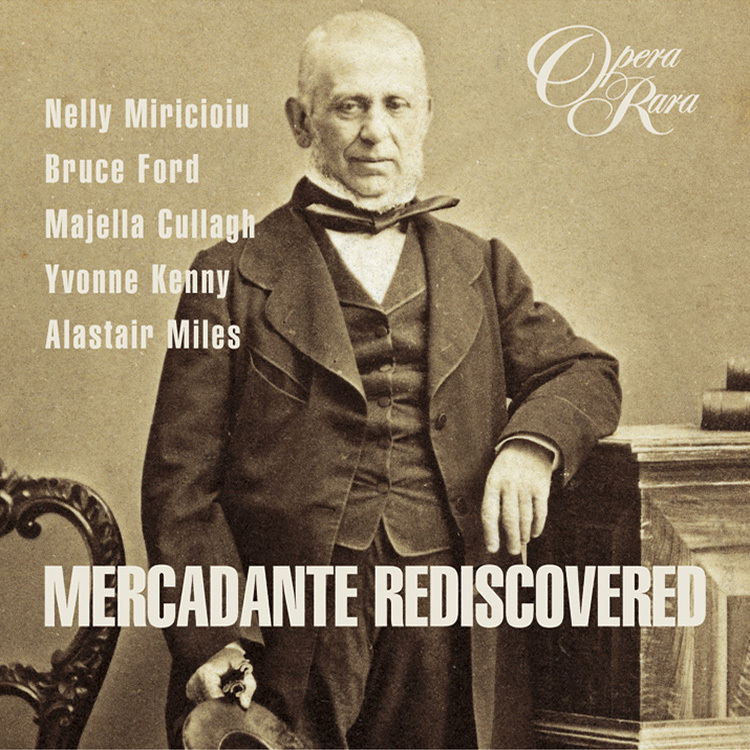 When you purchase any of our Mercadante recordings (complete operas and Essential series) as downloads add ‘Mercadante Rediscovered’ to your basket and claim a 50% discount on this download (MP3, FLAC & ALAC). Enter code MERC_226_DL in the shopping basket to get the discount. This offer ends 30 June 2014. 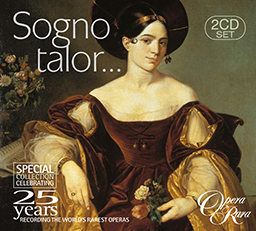 This disc, which we released to coincide with Opera Rara’s recording and concert performance of Mercadante’s neglected opera Emma dAntiochia, is a fitting tribute to this over neglected composer. The most important composer of Italian opera in the period immediately preceding Verdi was Saverio Mercadante. The Big Three – Rossini, Bellini and Donizetti – were elsewhere. Bellini had died in 1835, and Rossini and Donizetti were in Paris. Mercadante was then in his richest period of composition and from 1839, as Verdi’s first stage work premiered in Milan, continued to write operas for another 20 years. 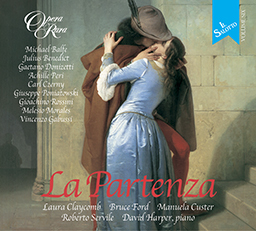 That Mercadante has an important place in the evolution of opera in the 19th century is clearly demonstrated by this new compilation from Opera Rara. Enormously popular in his day, his operas are impressive, noble, passionate and physically exciting as is demonstrated in the rousing opening track with its Verdian punch. The Oath Swearing from Orazi e Curiazi immediately shows Mercadante’s skill as an orchestrator. Across this majestic accompaniment Marcus Haddock, Anthony Michaels-Moore, Alastair Miles and the Geoffrey Mitchell Choir demonstrate Mercadante’s ability to martial his vocal forces with equal brilliance. 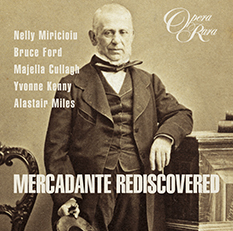 His comprehension of the human voice becomes even more evident in the wonderful lyric singing of Bruce Ford in Appios aria from Virginia.The disc brilliantly shows us the rich diversity of Mercadante’s art and provides us with a glimpse into the world of early 19th century opera and song writing that is not entirely based on the achievements of Donizetti, Rossini, Bellini and Verdi.